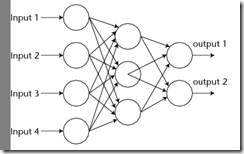 A recent post on the MSDN Forums raises the issue of reconstructing the Microsoft Neural Network and reproducing the prediction behavior based on the model content. The forum did not allow a very detailed reply and, as I believe this is an interesting topic, I will give it another try in this post. 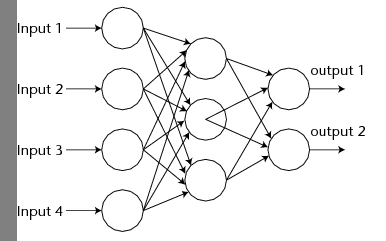 As an example, I use a small neural network which is trained on two inputs, X (having the states A and B) and Y (C and D) in order to predict a Z discrete variable, having the states E and F.
This second post on model filtering deals with nested table filters. The most common use of nested tables in SQL Server Data Mining is to model transaction tables. That is, model Customer entities together with the “bag” of products they purchased. Notice the difference between the filters: while the first filter removes products from shopping baskets before modeling, the second removes customers from the model (those that have not purchased Coca Cola).